1989 Hyster 30X102 Tilt Deck Equipment Trailer. This has a 20,000 LB Load capacity. Good Deck, Tires are in fair condition. Two Axle, Tandem Trailer with 8 225/70R 22.5 Tires with Steel Wheels. It has surface rust but the steel and frame are in good condition. Fill the form below to get more details on this piece of equipment. 1994 Caterpillar 769C Rock Truck with 31903 on the meter.Cat 3408 Engine rated at 450HP. Has an electronically controlled power shift Transmission with 7 forward speeds and 1 reverse. Max speed is 46 mph. This truck also has a payload of 81,000 lbs and/or 30 yards. 1987 Caterpillar 769C Rock Truck with 152916 on the meter.Cat 3408 Engine rated at 450HP Has an electronically controlled power shift Transmission with 7 forward speeds and 1 reverse. Max speed is 46 mph. This truck also has a payload of 81,000 lbs and/or 30 yards. 1990 Autocar Heavy Spec Dump Truck with a meter reading of 504934. Detroit Series 60 425HP Engine, 18 Speed Transmission and a GVWR of 52,080 LBS. – Front Axle: 12,080 and Rears: 40,000 LBS with Drop Axle. The Truck is 27’ in length and 102” Wide, Tires are in good condition. The Clutch is being worked on and will be ready for the new buyer. 1984 359 dump truck, 9 speed, 855 Cummins BC-400, walking-beam suspension, 22.5” rims, 826,390 miles on odometer. New brakes, Good rubber. 1994 Tri-axle Sturdyweld pup. This trailer was used for Paving, but has been parked for a few years now. Has a good running Wisconsin motor, holds 500 gallons, tires in good shape. 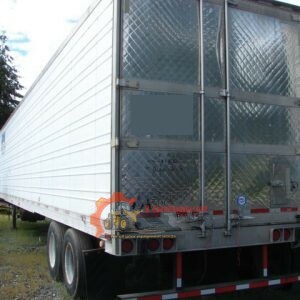 2001 Utility 53 X 102 Reefer Trailer with steel wheels. Height is 13′. This unit operates how it should. 1990 Knight Transfer Trailer. Very good condition, new tires on aluminum rims, brakes at 75%. Ready to run down the road! 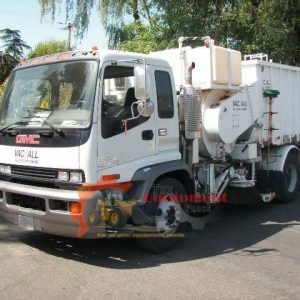 2004 GMC T7500 Vac All LV10-D Street Sweeper. Combination Catch Basin and Street Sweeper, Allison Transmission, 2550 hours. 22,500 miles, twin curb-brushes. 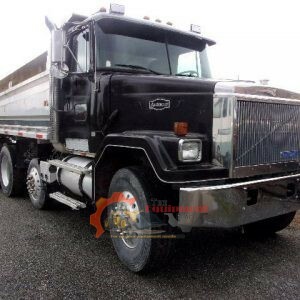 1986 Ford LT8000 Dump Truck, 360,656 on the meter, 6-13 transmission, Cat 3208, 250 HP, 189: wheel base, GVWR 46,000. Has a blown rod. 1993 International 4900-4 X 2 Spreader or Moving Floor Truck. Used for Grain or Wood Chips etc. It has 27,531 miles on the meter, and has an International DT 466 engine around 260 HP. 5 speed Automatic Transmission. The Truck runs good and the Box and Bed are in good condition as well. The GVWR is 32,200 LBS, Front: 11,000 LBS, and Rear 21,200 LBS. Truck has a 244″ Wheel Base. 1999 Kenworth T800 Day Cab. Meter reads 401629. Has a Caterpillar 3406E 475 HP Engine and an 18 speed transmission. Front axle rating of 14,000 LBS and a rear of 46,000 LBS with double lockers. This truck has a wheel base of ” and weighs approximately 24,600 Lbs. Tires and brakes are in good condition. This truck is in good running condition and ready for work! Tires @ 80%, electric brakes in good shape, deck in good shape, deck is 19′ x 5′ tail x 8′ wide. Ready to haul your Equipment! Aluminum wheels, very good condition! 1979 KW W900A Tri/A transfer set, Cummins NTC-350, 10 speed, Odometer reads 008661, Ratio, 3.70, 14’ boxes, Transfer system rolls well, strong battery. DS400P Rears. 1978 Columbia Pup Trailer in fair overall condition. 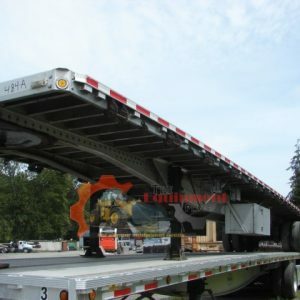 2012 Reitnouer 48 X 102 Flatbed Trailer with Aluminum wheels. Runs as expected! The Equipment Place is a broker of heavy equipment, trucks, and trailers. We have a variety of units available for immediate purchase. 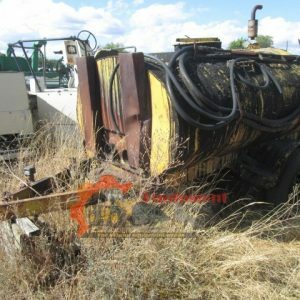 We also offer listing services for equipment owners looking to sell. Call us today to learn more about our services or inquire about a unit.